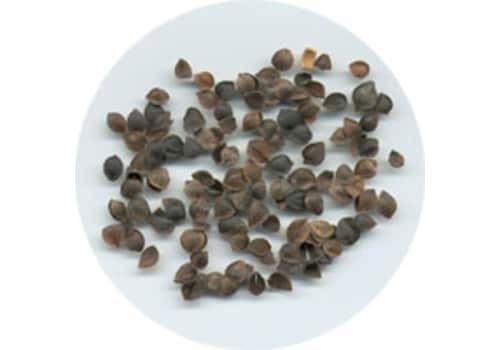 Buckwheat hulls are the husks that protect the buckwheat kernel from the various elements of nature. Our buckwheat hull filling is organically grown in the United States, using no fertilizers or pesticides. This natural filling has many advantages over conventional fiberfill, foam, or feather fillings. The most important quality for the relief of pain is that the material conforms to the exact contours of the body providing a compliant passive support. This means that you have the same amount of support in all areas minimizing the stress on all areas of support. Other filling materials which compress, try to recover their original shape, and this puts stress on the muscles. Other advantages of the buckwheat hull filling are the "cool in the summer, warm in the winter" insulating properties, and the filling also lasts for many years. Long after other fillings have collapsed and worn out, a buckwheat hull filling will still be fully functional. Buckwheat hulls are also environmentally friendly. 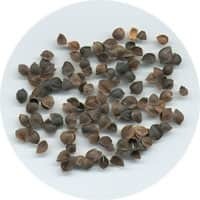 So, if you are looking to purchase organic buckwheat hulls in bulk or wholesale, you've come to the right place. For smaller quantities, you can buy buckwheat hulls online by simply adding to your shopping cart. If you are interested in larger quantities please request a quote online or call us toll free at 877.777.6287.